Since 1992, Jerusalem-born tenor Shmuel Barzilai has been Chief Cantor of the Vienna Jewish Community. 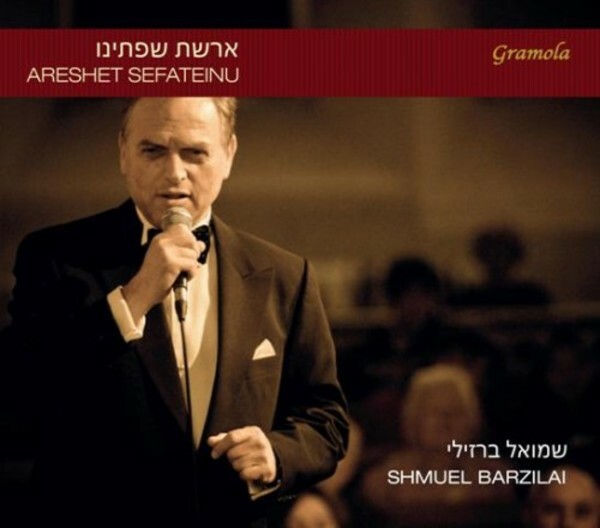 On his forthcoming CD under the title 'Areshet Sefateinu', Barzilai, accompanied by the SFY Philharmonic Orchestra and Choir under the direction of Mordechai Sobol, presents songs and prayers by Yossele Rosenblatt, Ben Zion Shenker, Jehoschua Wieder und David Werdyger, among others. These traditional religious chants, written for holy days of the Jewish liturgy, permit a closer view on the Yiddish Neshome, the Jewish Soul, and display one key element of Hasidic Judaism, embraced by the following line from the Talmud: �The prayer is to be recited where there is song� (Berakoth 6a).